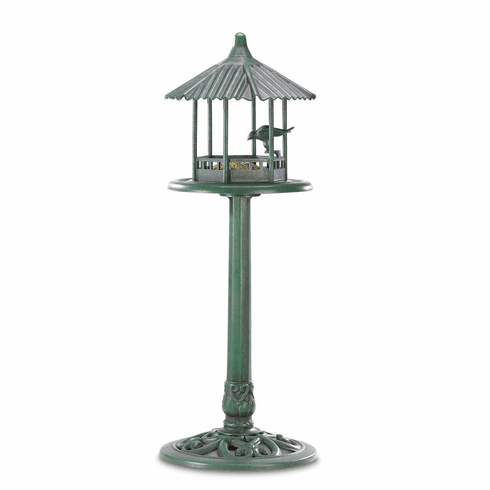 The classic look of weathered copper is perfectly captured in this amazing lightweight standing bird feeder! You'll delight at the luxurious appearance of this glorious garden accessory, from the fluted rooftop to the intricately detailed base. 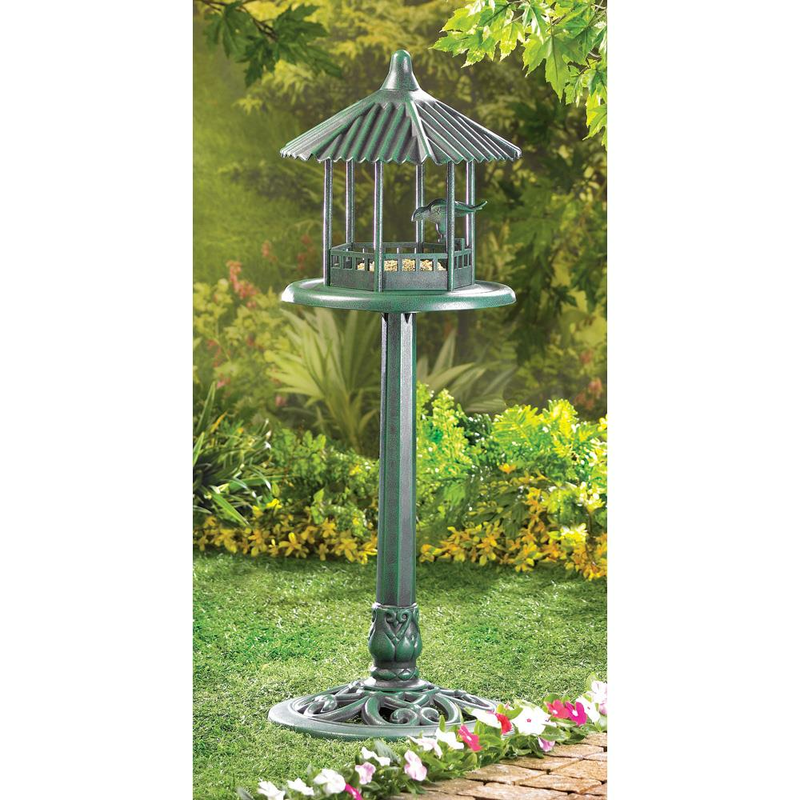 The elegant look of sculpted metal at a fraction of the weight and price! Plastic. 14 1/2" diameter x 39 3/4" high. UPC: 849179003975.